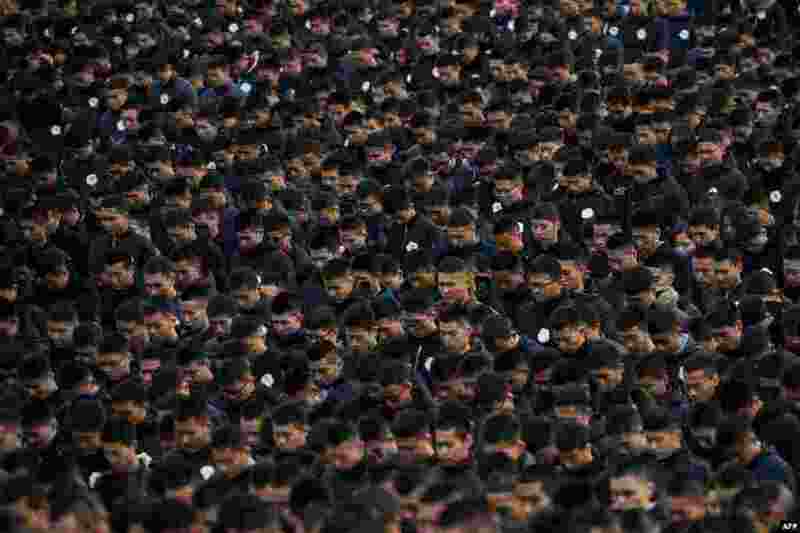 1 People participate in a ceremony at the Nanjing Massacre Memorial Hall on the second annual national day of remembrance to commemorate the 80th anniversary of the massacre in Nanjing, China. 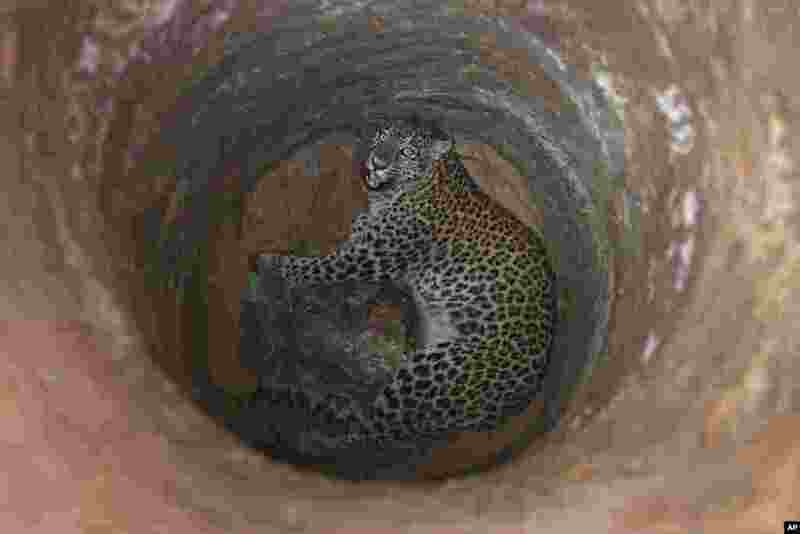 2 A female leopard falls into a deep well on the outskirts of Gauhati, India. Veterinarian and forest officials tranquilized and rescued the leopard before sending it to the state zoological park. 3 An undercover Israeli security agent detains a Palestinian demonstrator during clashes at a protest against U.S. President Donald Trump's decision to recognize Jerusalem as the capital of Israel, near the Jewish settlement of Beit El, near the West Bank city of Ramallah. 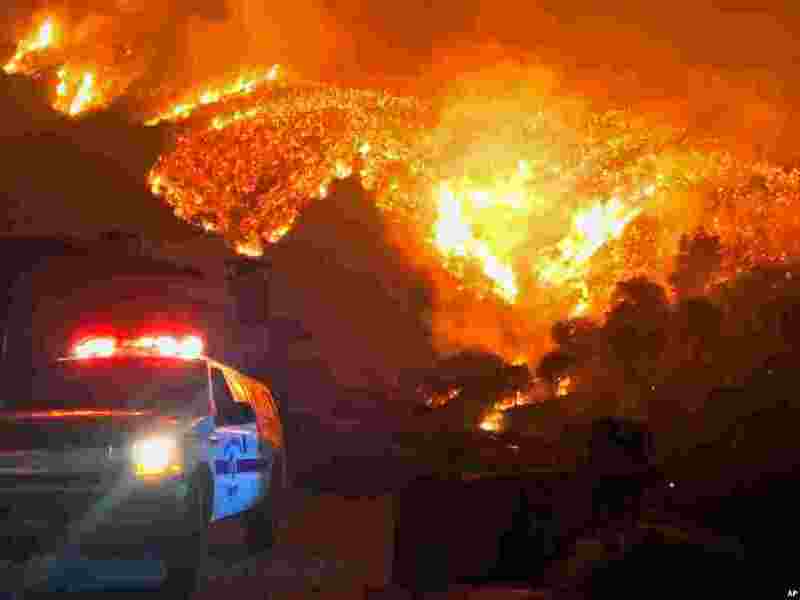 4 In this photo provided by the Santa Barbara County Fire Department, wildfires burn canyons and ridges above Bella Vista Drive near Romero Canyon as the fight to contain the wildfires continues in Montecito, California, Dec. 12, 2017.